I met Ngoc Tran Vu while at the unveiling of a Chinatown mural Shaina Lu had been the artist for. Unfortunately I was unable to attend the block party unveiling of this Field's Corner mural. (Though some of my friends were. And then this picture popped up in my Facebook feed! Anyway, without further ado, here is the interview with Ngoc Tran Vu. What does the event mean to you and to the community? The Unveiling Block Party means bringing the Dorchester community together to share and unite behind a collaborative project made out of love. 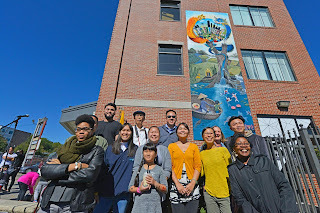 My team and I are super excited to showcase the Community in Action mural that we have been working so hard on these past several months. We are so ready to see people's faces when the curtain drops because we really want to make people, young and old, proud of our work and our community. Are you proud of your work? Is your family and friends? I am! It's been a very intense but amazing process to bring local residents and community members together to work on this project. 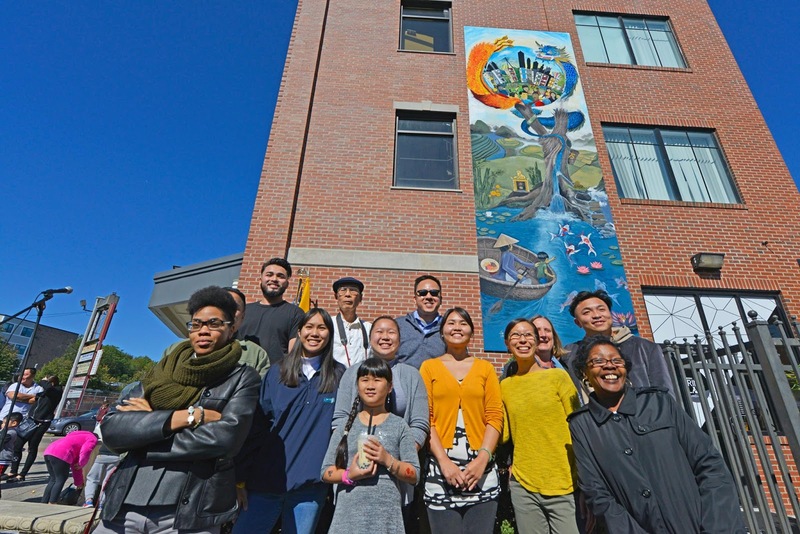 I am so grateful for all the time and energy that the artist team and steering committee have poured into making this mural a reality. I hope to continue my work as a multimedia artist and organizer. Next week, I have an exhibition and performance at the CyberArts Gallery in Jamaica Plain titled "For a Future to be Possible/Cho một tương lai có thể có." Then in January, I will be an artist in residence at the Boston Center for the Arts. Please visit my website www.ngoctranvu.com! Why does a mural matter? Did a mural ever reach out to you as a child? What are some of the important works of art around the city that speak to you? 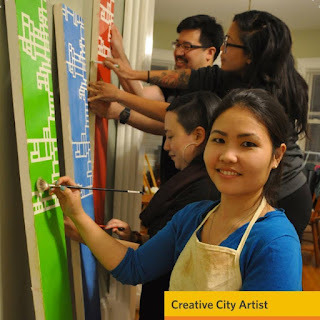 A mural matters because it's socially engaged art that's publicly accessible. 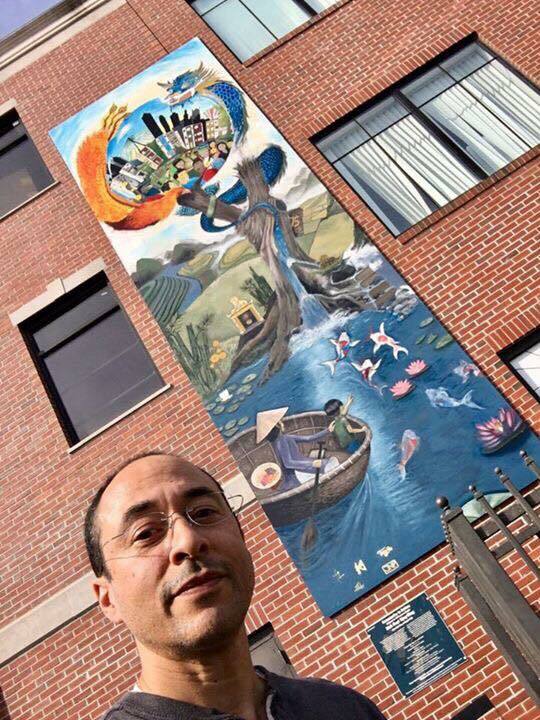 I have always been a big fan of murals because they help beautify spaces and particularly with art that speaks directly to the community, it becomes even more powerful and important especially in working-class communities such as Dorchester with so much history and robust narratives.